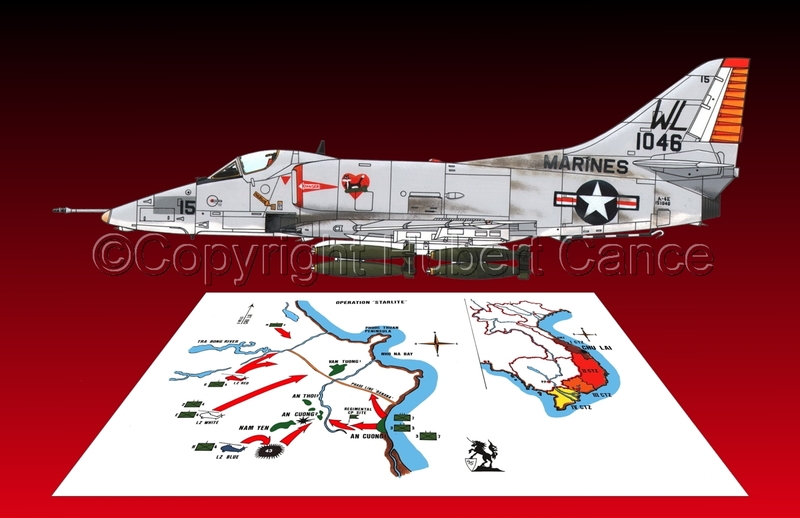 Douglas A-4E "Skyhawk", SNr.151046, VMA-811 "Tomcats", US Marines Corp. Arrived in Asia at 1st. June 1965. Based at Chu Lai, Vietnam. Operation "Starlite" . Acrylics and ink on Bristol card, CAD modified to be insert in a map of the operation "Starlite".